Sooke Sushi Cruise on the ROLANO – July 25th | What The Sooke? Looking for an interesting dining experience? Join local Sooke chef extraordinaire Kari Osselton and Captain Ralph for a 3-4 hour dinner cruise departing from Sooke on July 25, 2009 at 5:00. Step aboard ROLANO, an 80-foot long vessel which holds the distinction as the only floating B&B approved by Tourism British Columbia. 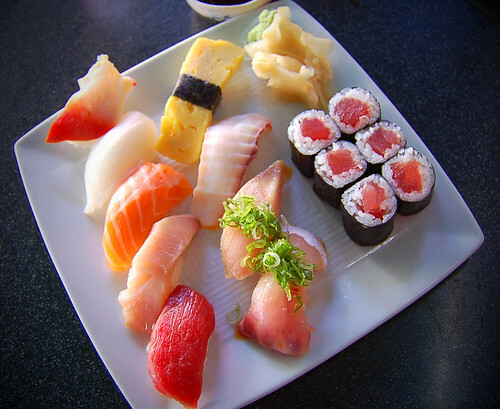 Enjoy the sights and sounds of the harbour as you dine on fresh sushi prepared by Kari. The cost is $100 per person or $175 per couple and reservations must be made at 250-744-4908. ROLANO is also the site of Sooke’s Sushi on the Sea, which serves sushi in an intimate setting when she is tied to the wharf on the weekends. Kari Osselton also runs Kari’s Catering and has done a spectacular job for several of our real estate office functions. Her latest endeavour is Souki Sushi, which serves up the good stuff next to Stick in The Mud Coffee.